May 10 How Can I Keep from Singing? My friend Jacob Smith once suggested that all of us are three bad days away from becoming a tabloid headline, and most of us are already on day two. At a time when our worst private moments, most shameful secrets, and deepest character flaws can be easily found out and publicly exposed for the whole world to see, I find great comfort in the fact that King David knew what that felt like. This “man after God’s own heart” appallingly brought disgrace on his divinely appointed office. He sinned against God and all of God’s people. He abused his God-given power for personal and sexual gain. He took advantage of a woman under his care and then subsequently had her husband killed to cover up the fact that he got her pregnant. In the Jerusalem tabloids, David’s sick and sinful story would have been plastered all over the front page. I have no doubt that he was tempted to disappear, to walk away, to shut his mouth forever, to go into seclusion and never come out. It is, after all, a lot easier and less painful to go into hiding when something terrible about you has been publicly revealed--when your well-groomed public image is exposed as being fraudulent. When someone is reeling from disgrace, the only welcome place seems to be a deep, dark hole, far from the public’s angry stares and wagging fingers. Knowing the frail human condition in a way now that I did not know before, I’m sure David, in his darkest moments, was tempted to kill himself. For, when public shame marks your life, the grave has a welcoming face. Yet this notorious adulterer and murderer and abuser was lifted up by God’s gracious hand to write his most famous hymn in the aftermath of his most infamous fall. And we can all be glad that he was. If David had not suffered through this dark night of the soul, we wouldn’t have the shining light of his prayer for mercy. In Psalm 51:1-17, David breaks down. He loses his composure as he composes his song of confession. He comes clean. He admits his sin, acknowledges his need for forgiveness, and appeals to God’s mercy. He petitions for God’s unfailing love in the wake of his greatest failure. Keenly aware of his transgressions and unable to shake his shame he begs for God’s compassionate cleansing. He knows that God and God alone can remove his guilt, set him straight, renew him, restore him, and sustain him. He knows that while others may never forgive him, he will be OK as long as he can be assured of God’s forgiveness. He promises God that he will steward his failures in service to God and others. He promises God that he will tell the world about the seriousness of sin and the gloriousness of grace. He promises God that he will spend the rest of his days singing of his righteousness and declaring his praiseworthiness. 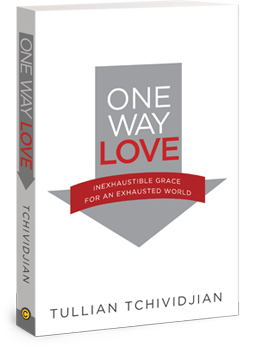 His days of selfish rebellion will bear fruit in years of unselfish proclamation of God’s one-way love. This forgiven sinner becomes the instructor of sin and forgiveness. This absolved adulterer becomes the lyricist of our unfaithfulness and God’s fidelity. This pardoned life-taker becomes the lead singer of a song about a God who gives new life to those who deserve death. David won’t shut up. David can’t shut up. God doesn’t want him to. As my friend Chad Bird once said, “The absolution becomes a song in his heart that must be sung.” God broke him for this very reason. This man after God’s own heart is now singing about the heart of God from a place of deep experience that he could not have known apart from failure. What’s so interesting and encouraging about this is that David’s song and story are proof that God’s intention for those who crash and burn is NOT that their lips are now sealed. Rather, he intends to pick them up, wash them off, and open their mouths wide so that they will speak more loudly than ever of his amazing grace and unconditional love. As I said in an earlier post, recovery institutions (AA, NA, etc.) have figured out that the best people to reach those who have bottomed out are those who have bottomed out themselves. I think the Church could learn a lot from that. Who better to praise the feast of God’s redeeming grace than prodigals whose sins once drove them to hunger after pig slop? I’m not sure where we ever got the idea that our “goodness” is what qualifies us to have a powerful impact on people. Because the truth is—none of us are “good” (Romans 3:10-18). And our impact on people becomes powerful when we acknowledge our badness and live out of our brokenness. In fact, the more honest you are about your failures, the bigger your effect on people will be. It is, without question, our failures and not our successes, where God’s grace shines the brightest through us into the lives of others. Every person I have ever known who has crashed and burned, and as a result, come to terms with their own powerlessness, has taught me something about God’s love and grace and forgiveness that I would’ve never known otherwise. Have you, like David (like ME), blown it big time? Do you think that your sin has sewn shut your lips? Are internal and external voices telling you that you are not qualified to sing, speak, share, and shout the Good News whenever and wherever you can? Have you been shamed into silence by those who claim that the bad and broken should not stand before God’s people and testify of his grace? Then I have the best of news for you: You are forgiven! No—more than that—you are pure and perfect and righteous in the eyes of God because of Christ. Even more than that, Jesus opens your lips to sing his praise for the world to hear. Washed clean by his blood, robed in his white garments, and filled with his Spirit, we are his mouthpieces. As Peter and John once said when the religious leaders of their day tried to silence them, “We cannot stop speaking what we have seen and heard” (Acts 4:20). We cannot. We will not. Those who stand at the foot of the cross—forgiven and pure and shameless in Jesus Christ—have no mute button. Apr 30 How is Grace Commonly Misunderstood?